Wadars has a small team of staff who are supported by more than 60 volunteers. Our volunteers work with us in many ways including driving, gardening, fundraising, answering our telephones, and fostering our animals; they are a valued part of the Team. 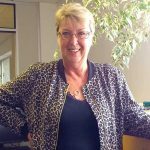 Julie has been with Wadars since 2014 and is responsible for the overall management of the charity and for overseeing special projects. 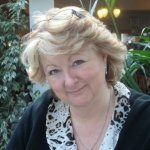 For over 20 years, Julie has worked extensively with local, national and international charities. She has been a trustee with four charities, including Cats Protection. Julie is a member of the Institute of Directors, the Charity Investors' Group and the Institute of Fundraising. 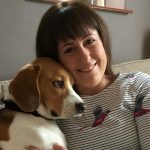 Tracy joined the Wadars team as Operations Manager in January 2016 and is responsible for the day to day running of the charity’s animal rescue and rehoming service as well as its community fundraising activity, communications, and volunteer development. 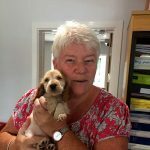 Tracy has more than 30 years’ experience of working in charities, including over 10 years with the RSPCA in Brighton where she started as an animal care assistant and worked her way up to Shelter Manager. Billy, who grew up on a farm has always had a love for animals, and has been with Wadars for almost 20 years. 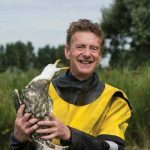 As part of the Wadars Animal Welfare Team, Billy plays a key role in the rescue of birds and wildlife, and rehoming of our homeless dogs. Even on Billy's days off he can still be found walking rescue dogs and going out on call-outs from local vets. 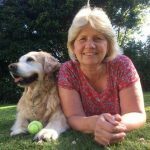 Elaine has been involved with Wadars for over 18 years as a volunteer, a Trustee, and more recently as a member of the Animal Welfare Team. 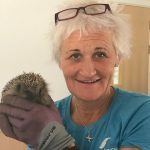 Elaine works part time alongside Billy and Julie, and has a particular passion for working with our homeless cats and small animals including rabbits and guinea pigs, as well as rescuing wildlife. She also fosters some of our animals from time to time. 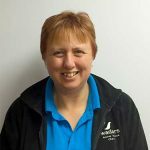 Julie joined the Wadars team in April 2018 and has a number of years’ experience of working with a range of animals including domestic pets, penguins, seals, and aviary birds. 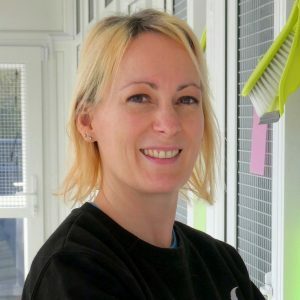 Having started her career as an animal care assistant at Raystede Centre for Animal Welfare, more recently Julie spent several years as a keeper at Drusillas Park near Alfriston. Julie has a Higher National Diploma in Animal Science which she studied for at Plumpton College. Bunny joined the Wadars team in 2011 after previously working in various different admin jobs. She has a Countryside Management qualification from Brinsbury College. Bunny has a keen interest in wildlife and birds and loves her job and how rewarding it is. Sharon has been working for Wadars as a finance officer since May 2011. Prior to this she was a volunteer fosterer with Wadars of rabbits and guinea pigs. Outside of work she enjoys spending time with her pets, all of whom were adopted from Wadars. Sophia is our newest member of staff, taking over the fundraising & volunteer coordinator role in July 2017. With a broad range of experience in fundraising and community events, Sophia will lead the small army of volunteers that Wadars relies on to raise vital funds and embrace community cohesion. Sophia has a love of Scouting, archery, rugby and all things adventurous. Sophia has an equally fun-loving Tibetan Terrier called Mako! 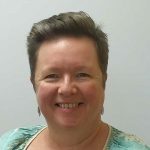 Cathy joined Wadars in January 2019 having previously spent just over a year working on a research project looking into heart disease in cats with the Royal Veterinary College, before going on to work with Cats Protection for six years. During that time Cathy worked across two adoption centres, where she was also Deputy Manager. Wadars is governed by a board of Trustees, all of whom are volunteers and bring a wealth of skills and experience from veterinary and animal behaviour to accountancy and business strategy. Christie heads up a specialist training company, which she started in 1993. She was awarded the Freedom of the City of London in 1997 and over the years has worked in many places around the world. Her love of animals led her to foster 31 Great Danes, adopting a further 20 of her own over a 41 year period. She considers herself fortunate to currently be a companion to a Wadars rescued dog called Basil, a little Staffie cross. "He is the best friend anyone could wish for!" she says. Jill has been a Wadars Trustee since January 2014 and has been involved with the Charity since 2008. She is now retired having worked in the corporate management world for over 30 years. 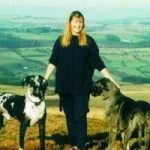 Having a lifelong love of animals, Jill has shared her home over the years with 13 cats, many rehomed from Wadars, various rabbits, guinea pigs, hamsters, fish and a Golden Retriever called Molly. Allison has worked as a Financial Controller/Management Accountant mainly in the motor trade and now works in finance for a local stationery supplier. 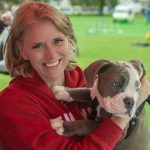 She is proud of her association with Wadars and greatly admires the staff/volunteers dedicated work to rescue and re-home animals in need and to find them the loving forever homes they deserve. She has shared her home with various pets including a dog named Harry, and a grand old lady cat by the name of Purdy! 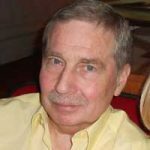 Mike is now retired after working in the IT department of a Global Financial services company for many years. Mike has had several rescue cats from Wadars, including a pair of brothers after they were left on the Wadars doorstep at Christmastime 2012. Keith has been a Wadars Trustee for a number of years and has worked with animals of different kinds for more than 30 years. 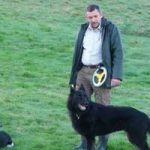 Keith’s has a real passion for dogs, and in particular ‘dogs with jobs’, having trained dogs for shepherding and also for search and rescue. Through his work with Wadars, Keith’s main objective is to ensure that animal welfare and responsible pet ownership is always top of the agenda.